Tension Myositis Syndrome is a physical pain disorder that is emotionally induced and has become an epidemic in this country. It is known as chronic back pain to some patients, others know it as fibromyalgia; others as depression and anxiety and others as frequent headaches or a host of other chronic problems "without much of a cure". For a more complete list of all of the symptoms of TMS, please click here. Dr. John Sarno of the NYU School of Medicine has identified the syndrome, its causes and fortunately its cure. He has seen over 11,000 chronic pain patients over that past 30 years and has approximately an 85 to 90% rate of cure of these maladies. 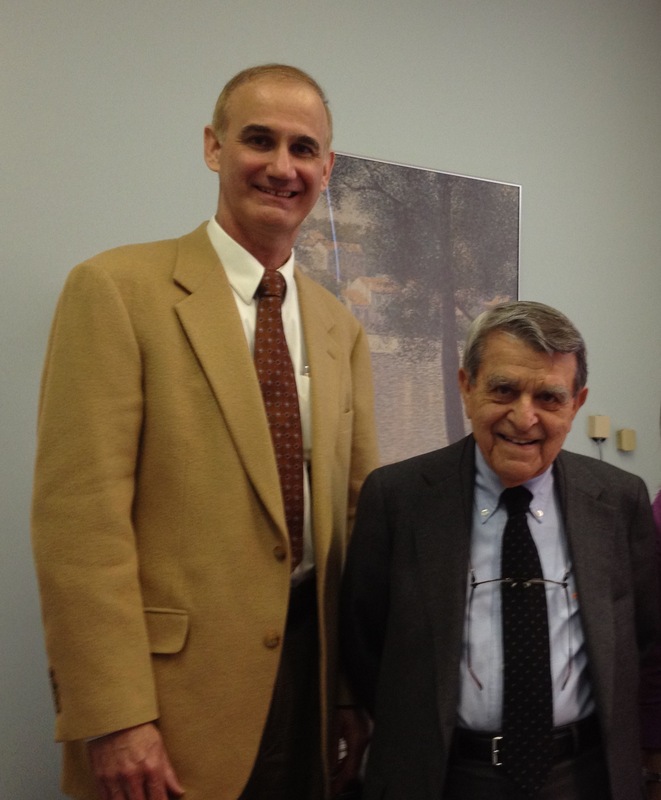 I was a patient of Dr. Sarno back in 1987 and credit him with curing my chronic back pain. I was one of the millions of patients to go the chiropractic route and the orthopedic route without success. At the time, I was an engineering manager at AT&T Bell Labs. 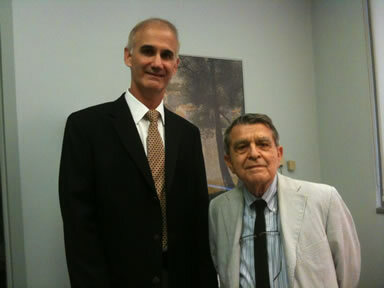 I called up Dr. Sarno and told him that I had read "Mind Over Back Pain" and that I would like to have an appointment. He said that I probably did not need to see him, since I had already read his book. I told him that I would like to anyway and it was the best decision of my life. Although, some patients will be able to be cured just by reading Dr. Sarno's books, I believe that many including myself need the reassurance of the diagnosis of TMS as well as help in understanding how to implement the cure and use small gains in pain relief to reinforce the diagnosis of TMS and therefore the healing. I was probably fortunate that I was not yet an M.D. when I first found Dr. Sarno and was cured. It was easier for me to accept the diagnosis of TMS and accept the psychological cure for my physical pain. I then had 14 years of a pain free back during which time I went to medical school and completed my family practice residency. After graduating from residency in 2000, I went back and trained with Dr. Sarno at the NYU Medical School learning about his latest thinking. I now help patients following Dr. Sarno's techniques. My treatment for a patient with chronic pain consists of an initial one hour appointment during which time I verify that the patient has had the proper traditional workup by the appropriate specialists, verify that the patient is a candidate for TMS treatment as well as help the patient to identify the cause of their TMS symptoms. The patient then returns for a two hour group lecture during which time I teach the patient the scientific basis of their pain along with a technique for redirecting their attention from a physical cause to the psychological cause. One month later, I have the patient followup to track their progress. There is usually no psychotherapy necessary for a cure, but in the difficult patient who would benefit from psychotherapy, I maintain a list of psychotherapists who are very aware of Dr. Sarno's work and can see the patient. I am also very pleased to announce that I now have a TMS trained PhD psychologist, Dr. Margaret Chan, working with me. She trained under Dr. Arlene Feinblatt who has been Dr Sarno's primary psychologist since 1973. Dr. Chan sees TMS patients in her office here in Somerset, NJ and is also available by telephone or skype for subsequent visits for our out of town patients. I hold my TMS lecture approximately once every five weeks in the waiting room of my office. For a schedule of lectures and a list of fees, please click here. I also screen my patients the way Dr. Sarno does so that I don't waste their time or money as well as my energy. I have received calls such as "I diagnosed my mother-in-law as having TMS, can you help her? ", to which I replied, "let her find Dr. Sarno's book on your coffee table and let her decide that she has TMS, then I can help her." For an introduction to the topic, please check out this very active website written by a group of TMS patients, tmswiki.org. This website contains a great deal of information regarding the principles, diagnosis, and treatment of TMS as well as active discussion groups. I also highly recommend reading Dr. Sarno's books, especially Healing Back Pain, The Mindbody Prescription and/or The Divided Mind. The first book is for those patients with no interest in psychology. The second book contains much more information about the psychology behind the pain. The third book was prepared for the medical community but is still very useful for the patient. Another excellent and very thorough book on the topic has been written by an engineer, Steven Ray Ozanich, who suffered for 27 years before finding Dr. Sarno. His book also well covers all of the different manifestations of TMS and is tiltled The Great Pain Deception - Faulty Medical Advice Is Making Us Worse. For a very active TMS discussion group, please check out TMShelp.com. Just be careful not to try to cure yourself for too long a period of time before seeing a TMS doctor. On TMShelp.com, I have seen people with TMS get very frustrated because they tried to cure themselves without any help when a little redirection from a TMS doctor would probably make a big difference. I know that it sounds like I am trying to sell my services, but I am sincere in my comment. Sarno, John E., M.D., Healing Back Pain - The Mind-Body Connection, Warner Books, 1991, ISBN 0-446-39230-8. Sarno, John E. M.D. The Mindbody Prescription - Healing The Body, Healing the Pain, Warner Books, 1998, ISBN 0-446-52076-4.